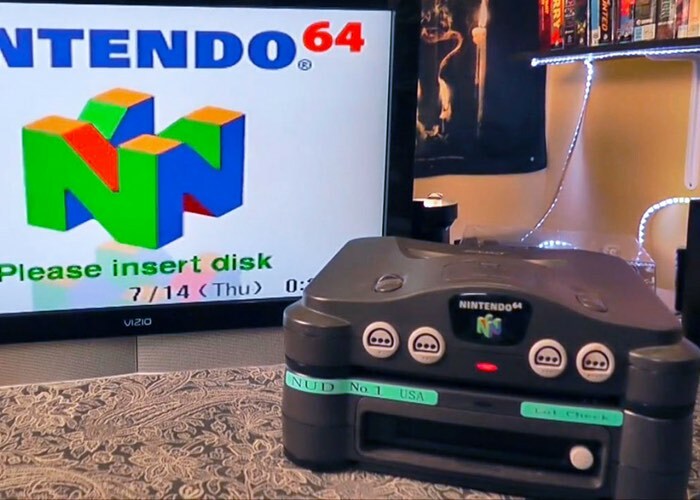 Collector Jason “MetalJesusRocks” Lindsey based in Seattle has stumbled upon an ultra-rare and working US Nintendo 64DD console prototype, that at first glance was though to be a US developer kit. However after further investigation is has now been discovered the rare Nintendo console boots up without the aid of the “partner cartridge,”and features an english-language menu screen, which is not normally included in official development units or the original Japanese retail models. It turns out that after a little investigation and help from Mark DeLoura former Lead Engineer at Nintendo. The system is most probably an unreleased retail unit or retail prototype. Check out the video below to learn more about this ultra rare Nintendo console which is sure to raise a considerable sum if it was to ever make its way to auction.